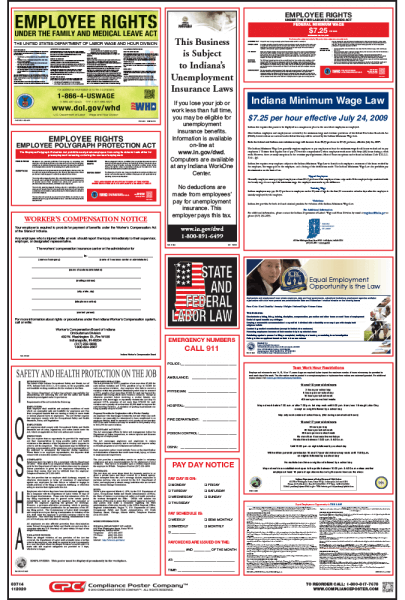 Federal and Indiana laws require employers to post notices informing employees of their rights and protections while performing work for their employers. 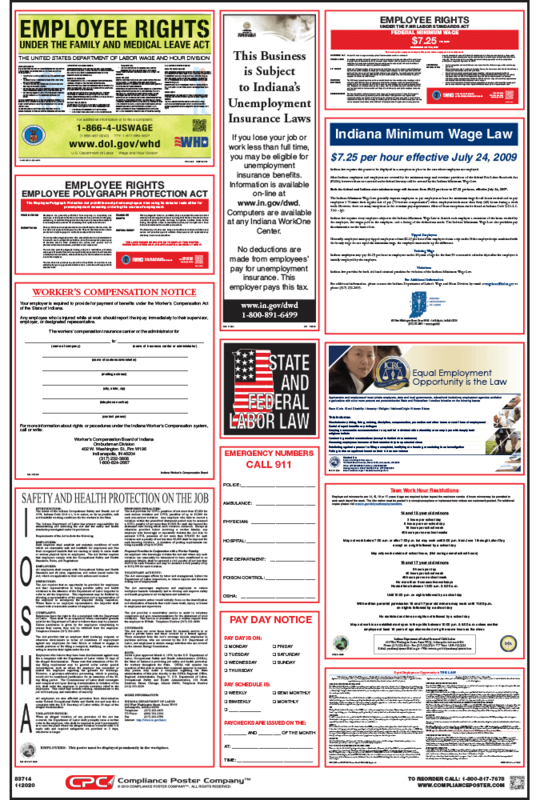 Indiana Labor Law Posters contain each of the state and federal mandatory labor law notices that must be posted in the workplace. Most Indiana employers and employees are covered by the minimum wage and overtime provisions of the federal Fair Labor Standards Act (FLSA). Indiana employers must also comply with the federal Employee Polygraph Protection Act (EPPA). Indiana employers are required to post the Indiana No Smoking Poster at entrances to public places and places of employment.